cause no one made it yet. Lots of updates coming these few months. Heres a screenshot of the run down. Also means more Sacred Stones characters. 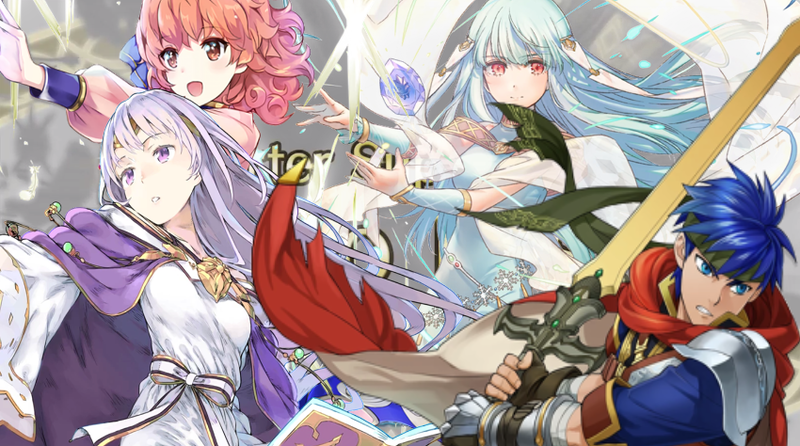 Current Banner I'm trying to get Elise. 40 orbs in and only got a 5* Linde. Last edited by Cygames-solace-; 09-04-2017, 01:02 PM. I'm just going to be waiting for the Lilina banner since I'm wanting a red mage that isn't Tharja. Mean while working on my +attack -def Dealthea. I hope they release more Sacred Stones characters like Joshua, Lute and Myrrh. Lets not forget Natasha and L'arachel to bring in. 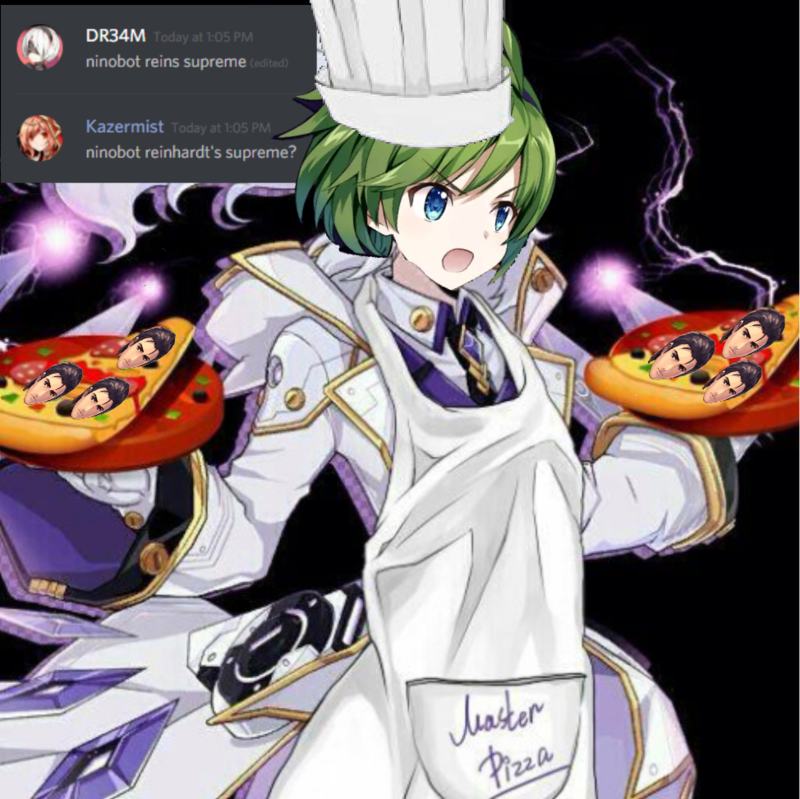 I suggested someone photoshop Nino's face on Mastermind and Reinhardt on the pizza cause of the text up in the top left. Someone said my "NinoBot Reinhardt's Supreme" sounded like some kind of pizza. If they stand behind you... give them protection. If they stand beside you... give them respect. If they stand against you... show no mercy. 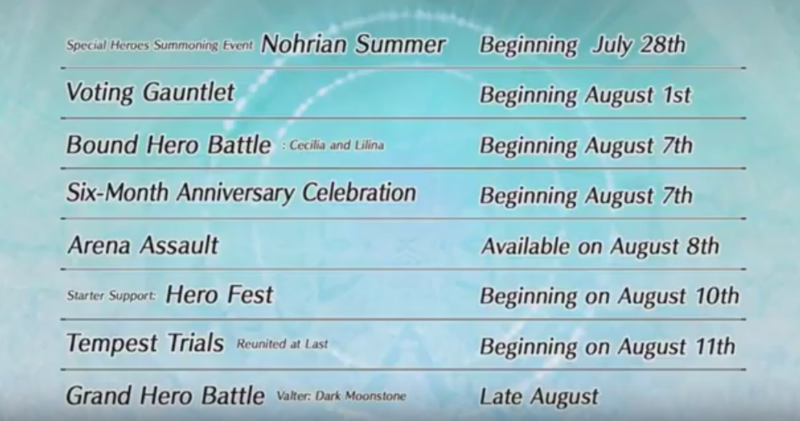 Hero Fest 2 is rumored to have Ike, Ninian, Julia, and Genny. There is gonna be more I'm pretty sure but people match shadows and those 4 are most likely. I need summer Corrin. Flier Mage yes please. Team Summer Elise lets go. Now please appear in my team eventually pls. Gods, PLEASE? I'd want Lyon, Joshua, and Natasha most of all. Sacred Stones has been my fave for forever.. right up there next to the Tellius games. Speaking of which, I'd love to see some laguz added to FE:H. Bring me Naesala! Just to post an actual source of that information. I did saw a Hoshidian Summer Banner with Ryoma but I doubt he will be as good as the normal one. Also Elise lost, I'm sad. Naisu, gonna try pulling Genny in this banner then. Yeah I don't think that version of Ryoma would be as good as the normal one. Normal Ryoma is like probably the only red sword unit that you can put on a team and be just as threatening as Hector compared with other sword units IMO. I'll go to Corrin's team for a hopefully free ride. I'm more worried about Hero Fest 2.